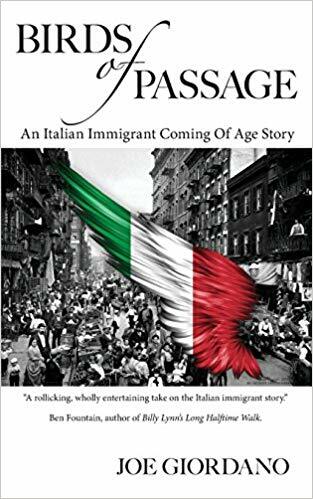 In our February Book Giveaway we have 5 paperback copies for our UK readers to win Birds of Passage, An Italian Immigrant Coming of Age Story. It is a "rollicking, wholly entertaining take on the Italian immigrant story." --Ben Fountain, author of Billy Lynn's Long Halftime Walk. Joe Giordano was born in Brooklyn. His father and grandparents immigrated to New York from Naples. Joe and his wife, Jane have lived in Brazil, Greece, Belgium and the Netherlands. They now live in Texas with their shih tzu Sophia.